We trust in building relations, we trust in creating 'Hoichoi' in Netherlands. …and one and for all, not “Bong”! HoiChoi promotes more face-to-face interactions and less formalities within us. We are here to generate warmth as in a Bengali household, where no one feels like an outsider. …and not mere “events”, that’s Hoichoi’s uniqueness. We trust in creating evergreen friendship, so that we can lean on each other for support in this distant land away from our dear ones. We believe in creating a bigger Hoichoi family, and not just a “Bengali community”. …is you! Hoichoi strives for and encourages to bring out the hidden talent from you. Who knows, maybe you are the next SuperStar of Netherlands! ... to believe in staying true to the term. 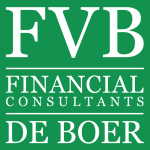 We try to leverage our reach and connect within this greater Amsterdam region and always strive to bring you the best. 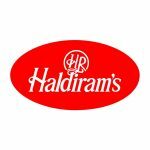 We focus on three most important items any Bengali craves for: good 'adda', good food and fun-filled events. Hoichoi’s motto is to build relationship, and make everyone feel part of the journey. 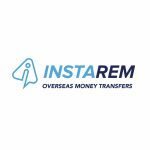 We value everyone’s sentiment, every difference and every opinion. We aim to create that neighborhood you left behind while boarding the flight to Netherlands. HoiChoi’s success is your success. This is your organization, your own পাড়ার ক্লাব​, for which you have a very special feeling in your heart. Hoichoi is a very young organization who intent to spawn the magical thread of Bengali culture in Netherlands. 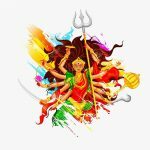 The word "Hoichoi" literally means "chaos/ hullabaloo", and for us Bengalis, there is no fun without chaos/ hullabaloo. As Nietzsche said, "You must have chaos within you to give birth to a dancing star". That exactly we are all about! We are a group of friends, flocked together to celebrate "Bangaliana" together in this distant land where our friendship and togetherness comes before our organizational bureaucracy. And, that's what makes us unique! Though being a Bengali association, Hoichoi does not strictly focus on Bengali community. We encourage participation of anyone interested in getting assimilated with us. We try to create lifelong memories and evergreen friendship via our interactions and events. Hoichoi’s engagement with you does not end with the event, we are always eager to lend a helping hand whenever needed, like a true Bengali neighbour. We don't want to be the "King of Good Times" only but we want to be "Circle of Friends Forever". That's the promise that we come along with. Bengalis are know for being cultural entrepreneurs. 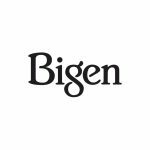 We are known for our cultural heritage, tradition and thought leadership. And in Hoichoi we want to take our cultural enthusiasm to the next level. Though we are still very small and we want to take baby steps - but our ultimate vision is to unite all Bengalis under the European continent and initiate an Europe-wide Bengali Cultural union. The idea of Hoichoi was born during a benign weekend “adda”. With the passion to promote Bengali culture in Netherlands, the group was formed to bring similar-minded people under the same umbrella. At Hoichoi we don't have paid membership - anyone who attends our events or shows interest in what we do, becomes part of the Hoichoi family. And we welcome and encourage everyone with an open mind to come and work with us, be part of us and feel part of our Hoichoi family. Together we make a big and happy family and we want to stride forward with all of you with us. 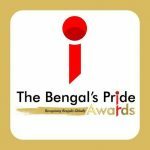 Read more Nominations for The Bengal’s Pride Awards, UK are now open! 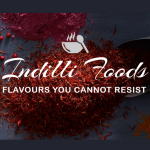 Read more Indilli Foods – our Catering Partner! 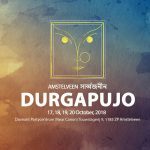 Read more Be a part of our Durga Puja 2018 extravaganza! 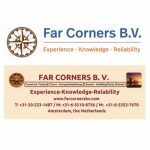 Read more Far Corners B.V. – Our Travel and Tours Partner! Please feel free to reach us. Just a click away!